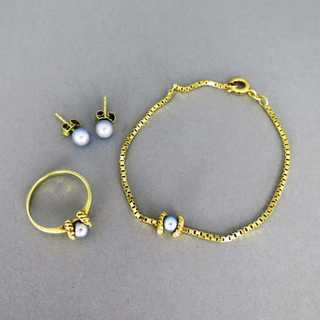 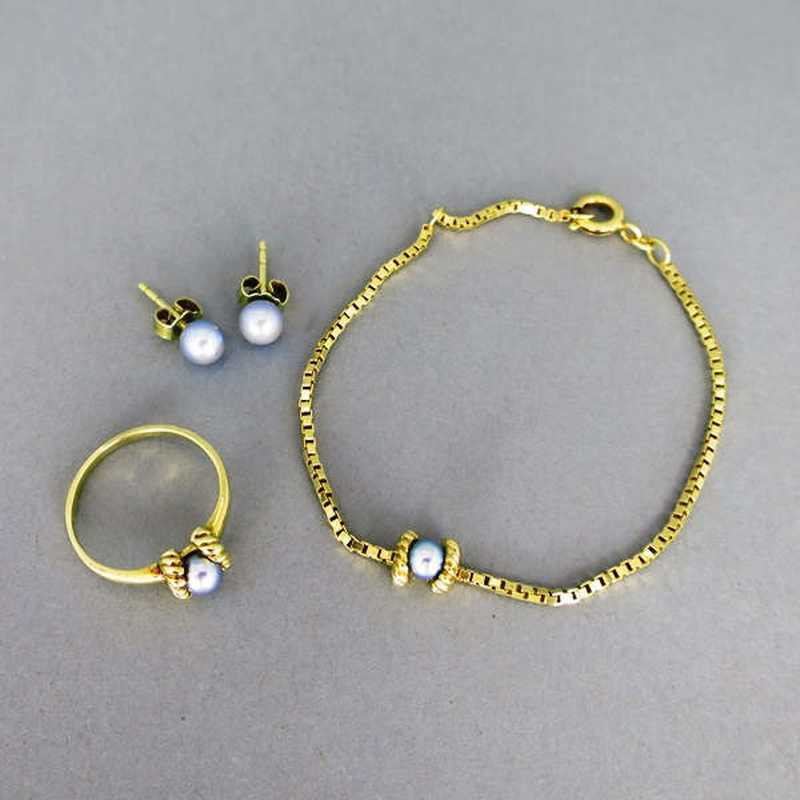 Nice jewelry set for a young lady! 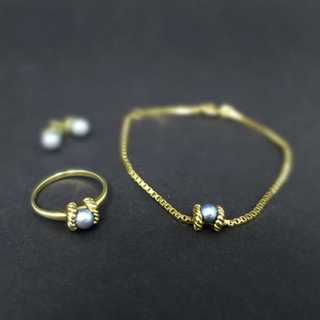 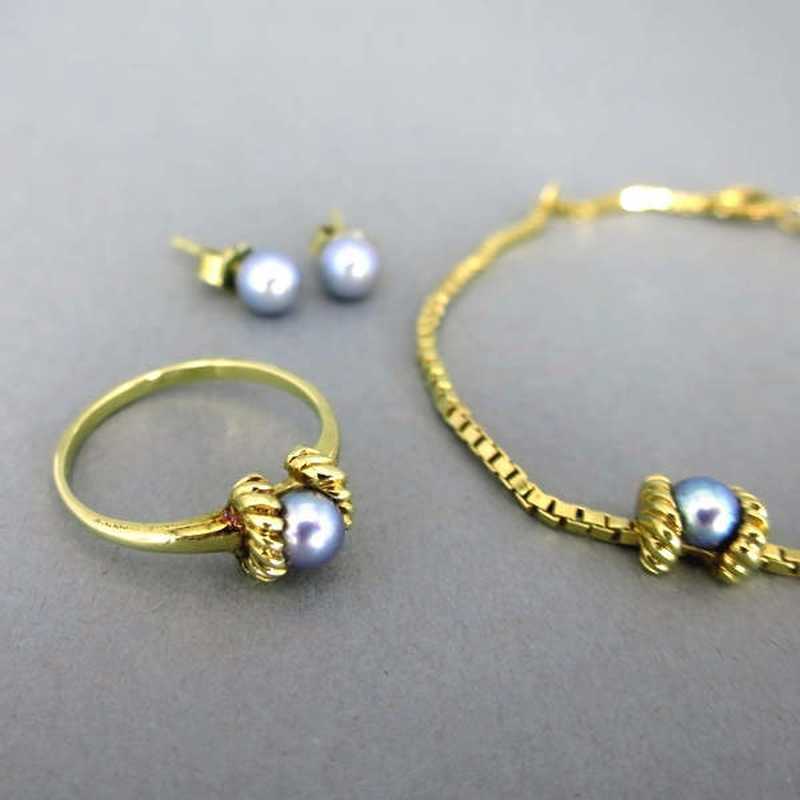 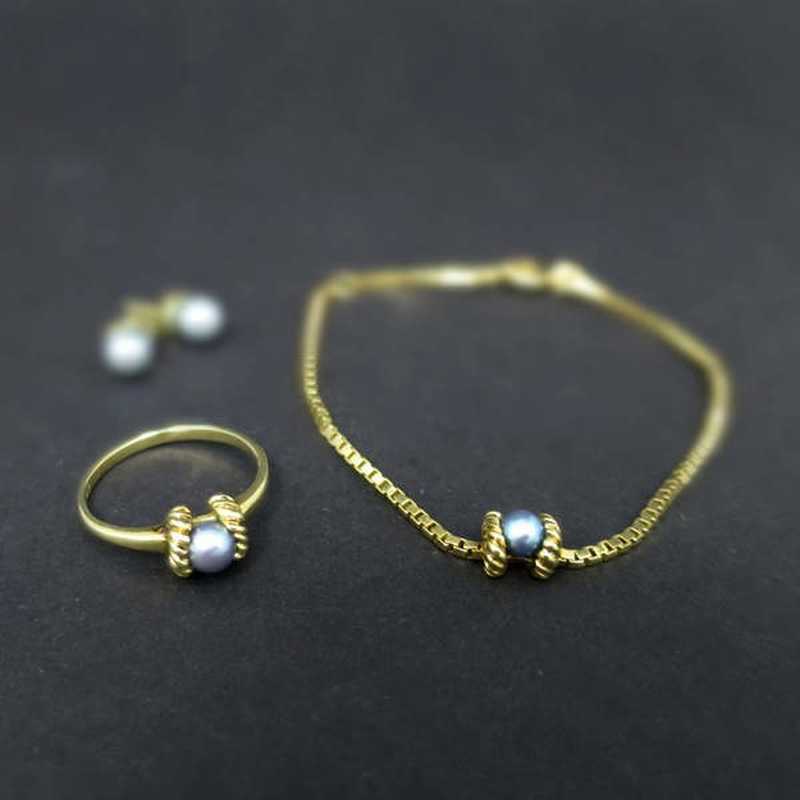 Composed from a bracelet, a ring and stud earrings. 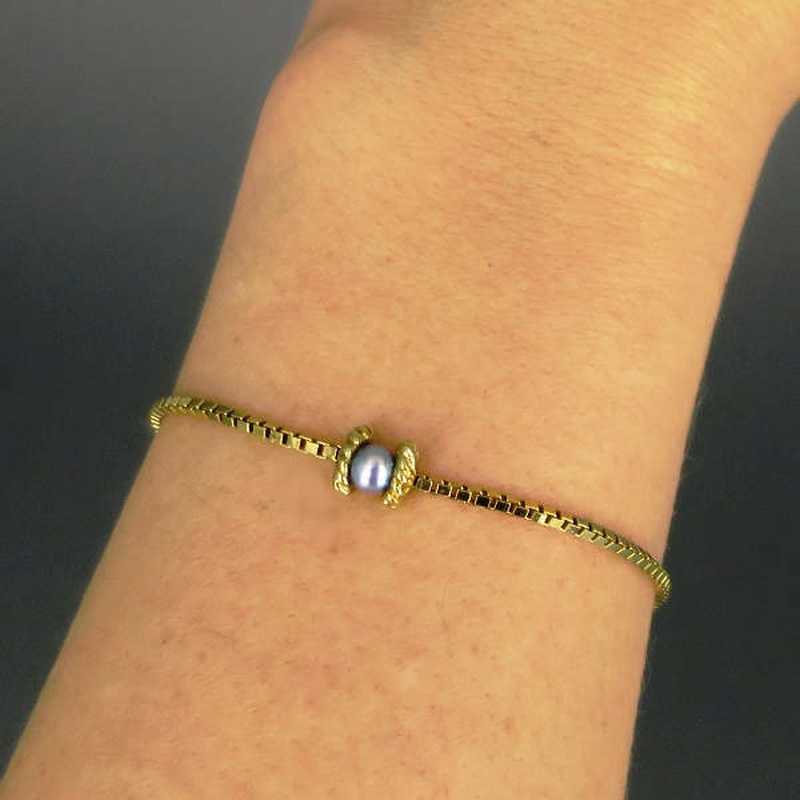 Bracelet with chain and a dark (Tahiti?) pearl between two ribbed discs. 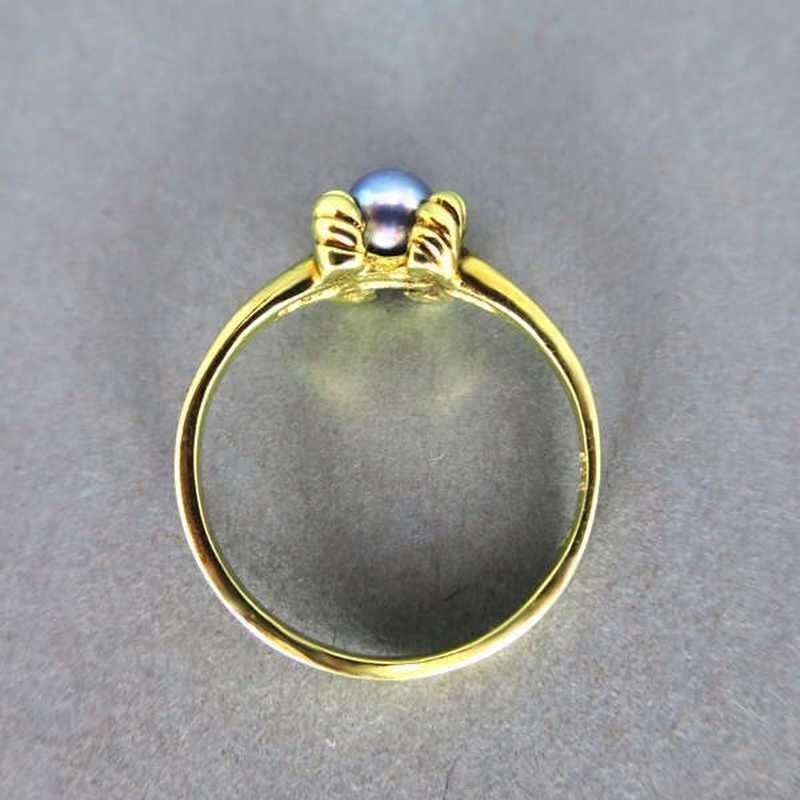 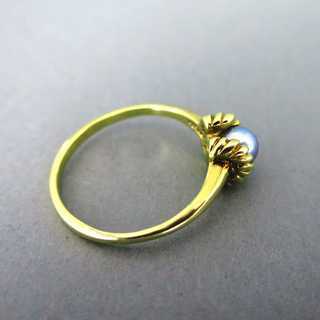 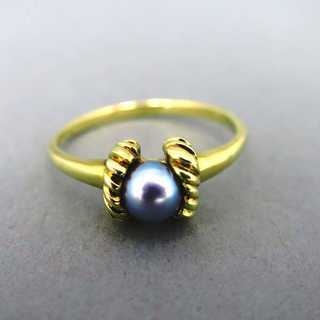 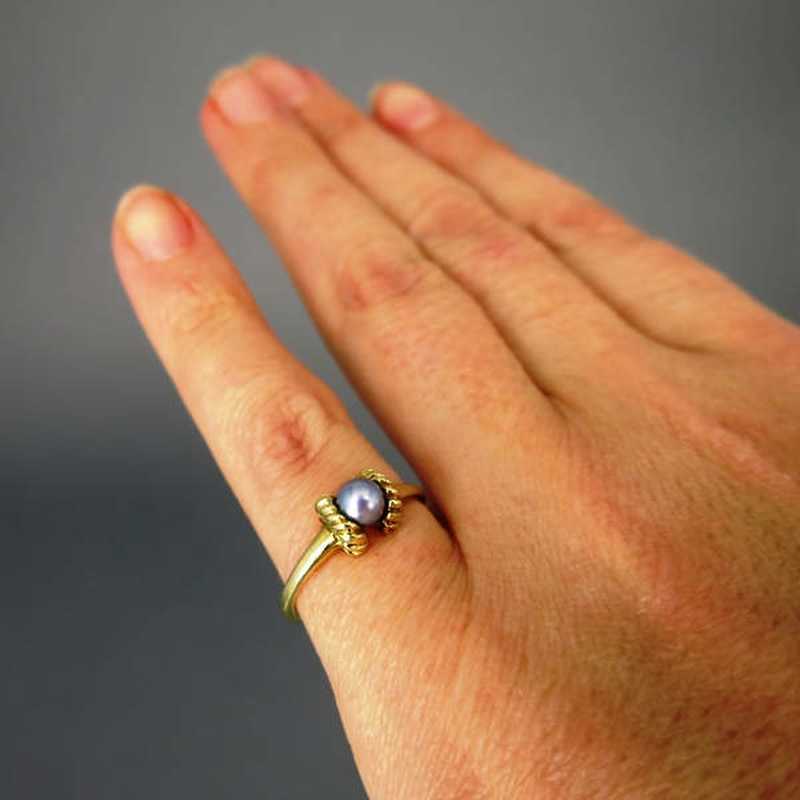 Ring with a pearl betweet two ribbed discs. 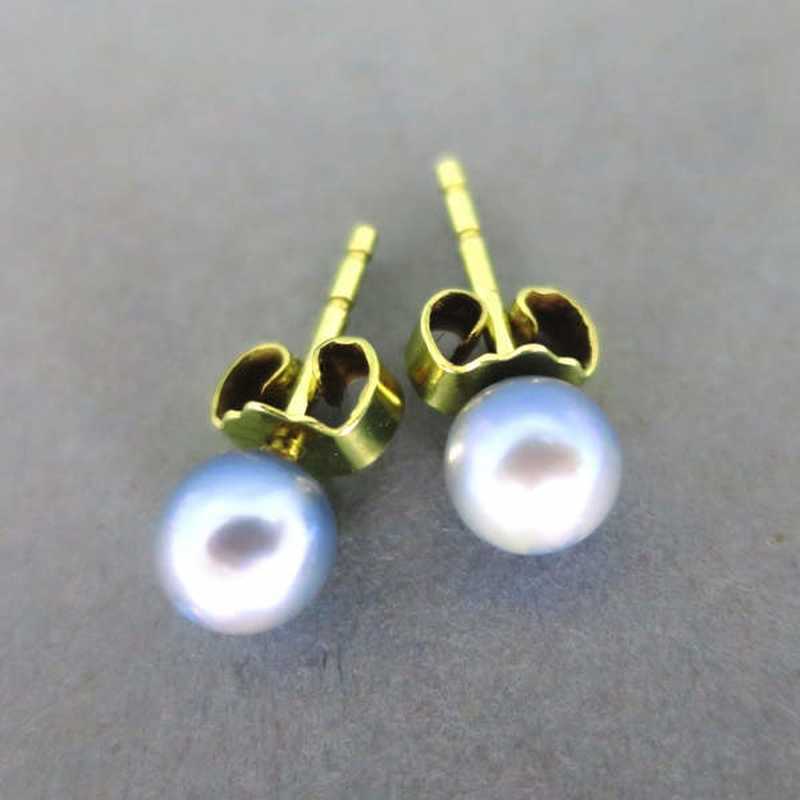 Studs with a pearl each. Delicate and elegant! 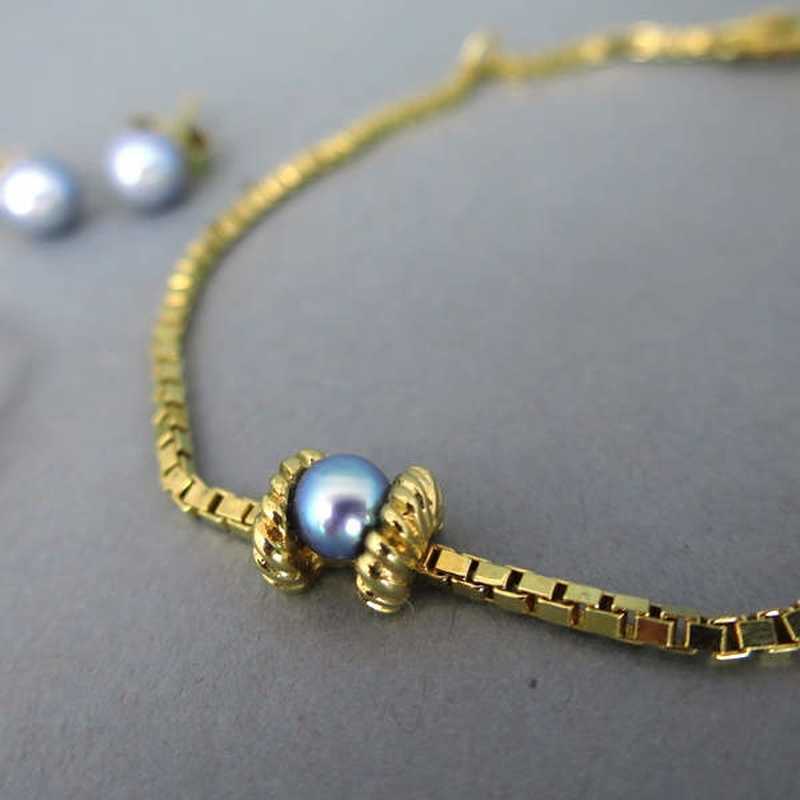 Marked, chain made by the famous German chain manufactory Friedrich Binder in Mönsheim. Very good condition!